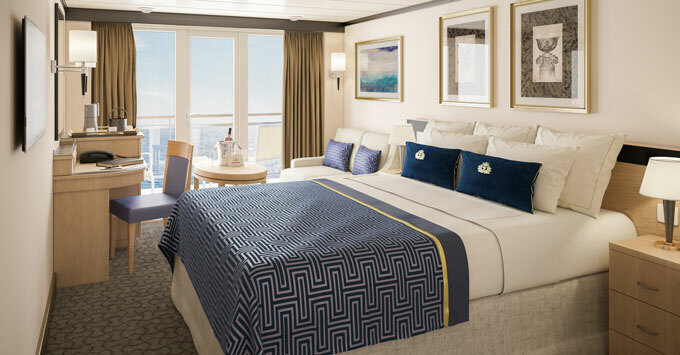 (11 a.m. EDT) -- Cunard has revealed details of Queen Elizabeth's November refit, which will include cabin upgrades, a redesigned Royal Arcade, new outdoor spaces and a refurbished spa and beauty salon. 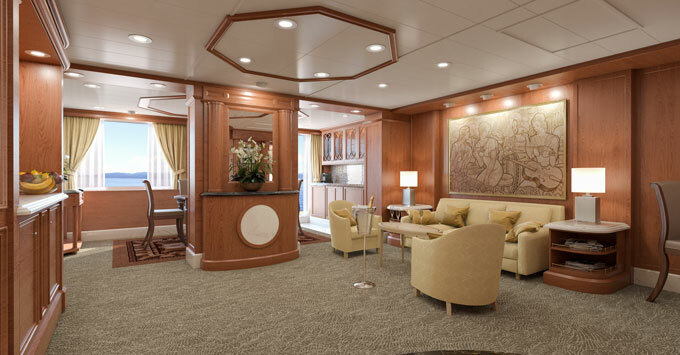 The aim of the shipwide cabin refurb is to bring Queen Elizabeth up to the standards of fleetmates Queen Mary 2 and Queen Victoria. Those ships enjoyed significant refurbishments in 2016 and 2017, respectively. The ship will also debut a new wellness and beauty proposition, which will be rolled out across the fleet. Cunard could not reveal details, except that it will be "more holistic," concentrating on wellness, as well as beauty treatments. 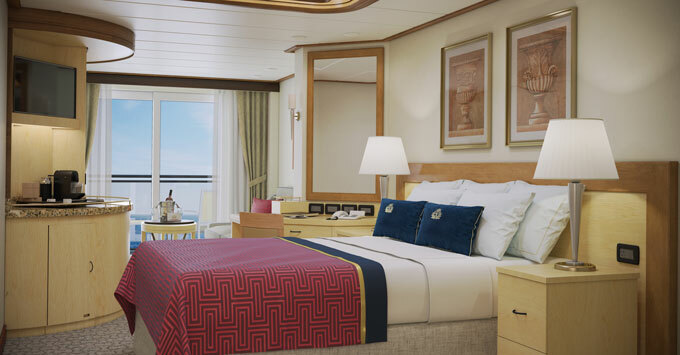 A Cunard spokesperson said: "We are excited about the enhancements that we are making to our youngest ship, particularly in the staterooms and suites, which we think will delight our guests." The outside public deck areas will get new furniture, and an afternoon sun deck will get additional shaded areas. The Royal Court Theatre will have a complete technical overhaul, including an upgrade of the audio and visual control systems. The Royal Arcade will be redesigned in a more contemporary way and will become more "immersive." The ship will dry dock in Brest, France, for 16 days, from November 14 to 30, while the work is undertaken. On January 3, QE sets sail from Southampton to Australia via Cape Town, South Africa. The ship will be based in Australia until March 30, 2019, and then depart for Tokyo, Japan, for two voyages exploring the cultural delights of the islands. On May 5, 2019, it will start a transpacific voyage to relocate to Alaska for a maiden season until June 30, 2019. Queen Elizabeth will then head back to Southampton via the Panama Canal.